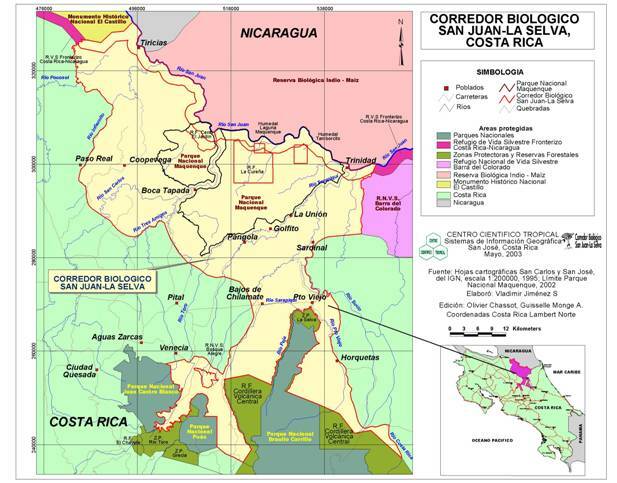 The San Juan-La Selva Biological Corridor, located in the northern zone of Costa Rica, began in 2001 with the purpose of connecting the lowland tropical forest of Costa Rica to Nicaragua. The corridor contributes to a much larger picture, the Mesoamerican Biological Corridor, which strives to connect habitats from southern Mexico to Panama. Biological corridors work to bring together stakeholders to promote sustainable practices and conservation or restoration strategies that promote connectivity or biodiversity-friendly landscapes. 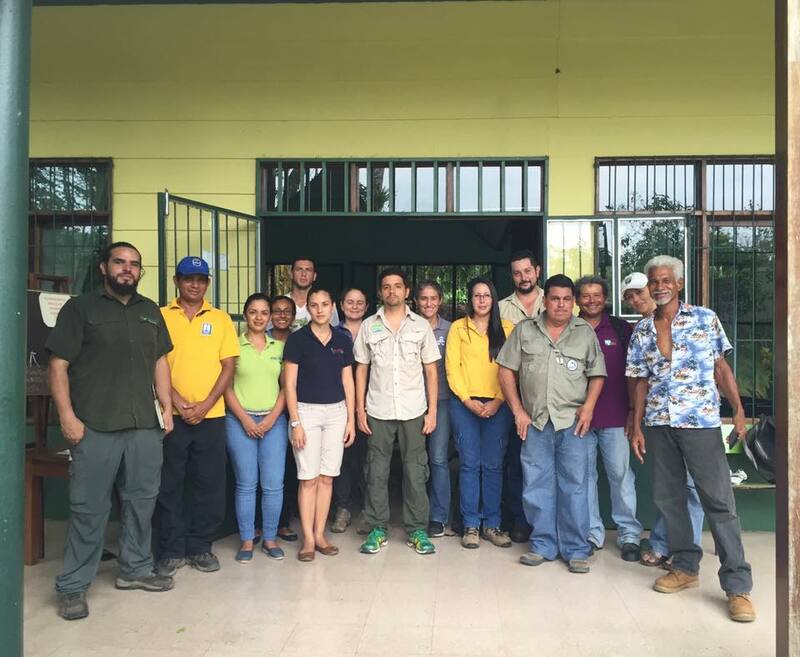 San Juan-La Selva Biological Corridor resulted from the work of the Great Green Macaw Research project led by Tropical Science Center and the partnership with NGOs, local organizations, municipalities and the Ministry of the Environment (MINAE). Biological corridors in Costa Rica are steered by a Local Council. The San Juan-La Selva Local Council is comprised of over twenty local, and national organizations including SCLC, who contribute their time and effort to advance the corridor’s strategic plan. The San Juan La Selva Biological Corridor integrates efforts and resources among local organizations and communities to ensure sustainable livelihoods as well as to restore the flow of life and the provision of ecosystem services essential for the human well-being of present and future generations. SCLC houses the office for the corridor and our mission is to educate the public and community about the corridor and disseminate knowledge to local farmers about how they can act to support the corridor initiative.